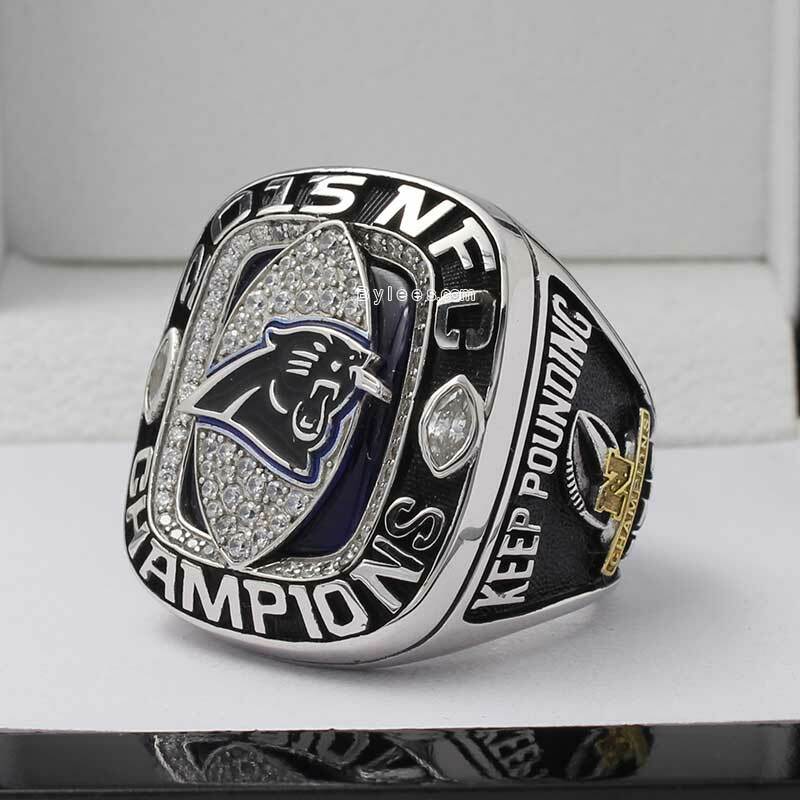 The 2015 Carolina Panthers NFC Championship Ring again rocked the fan world, even this is just a nfc title ring and obviously not the ring that they wanted. 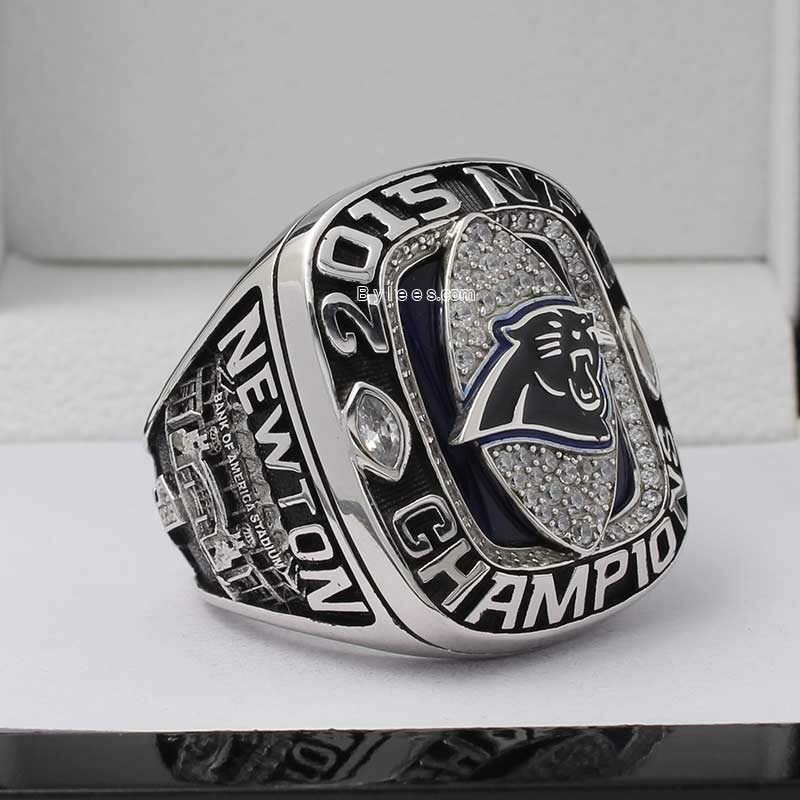 But Panthers 2015 NFC championship ring is really beautiful, It team color and logo as well as the NFC title, everything was perfectly combined together in an smooth way. 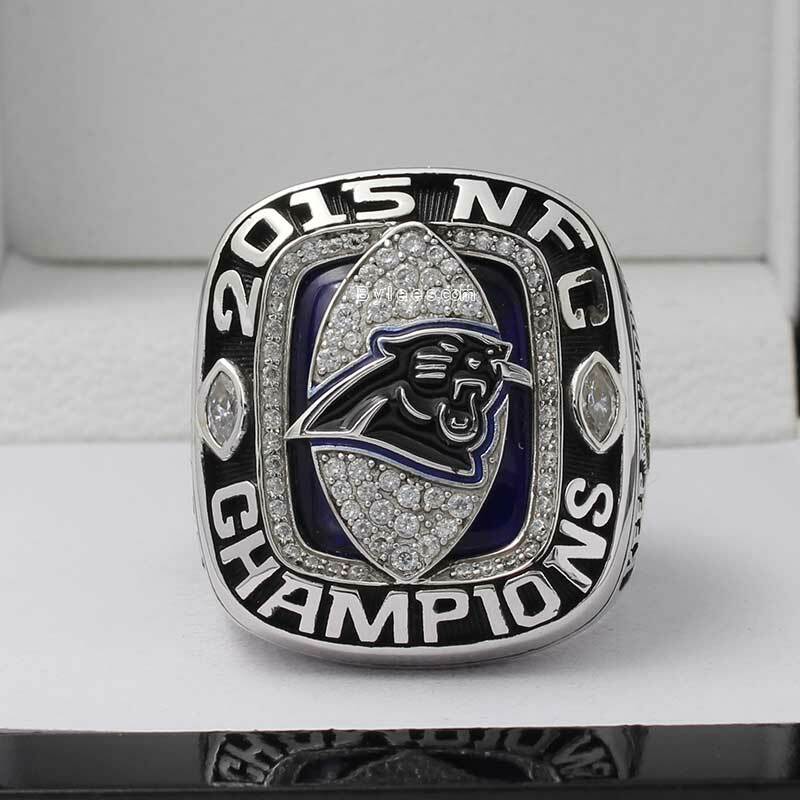 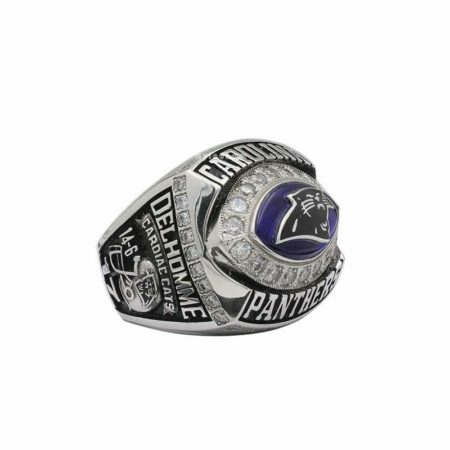 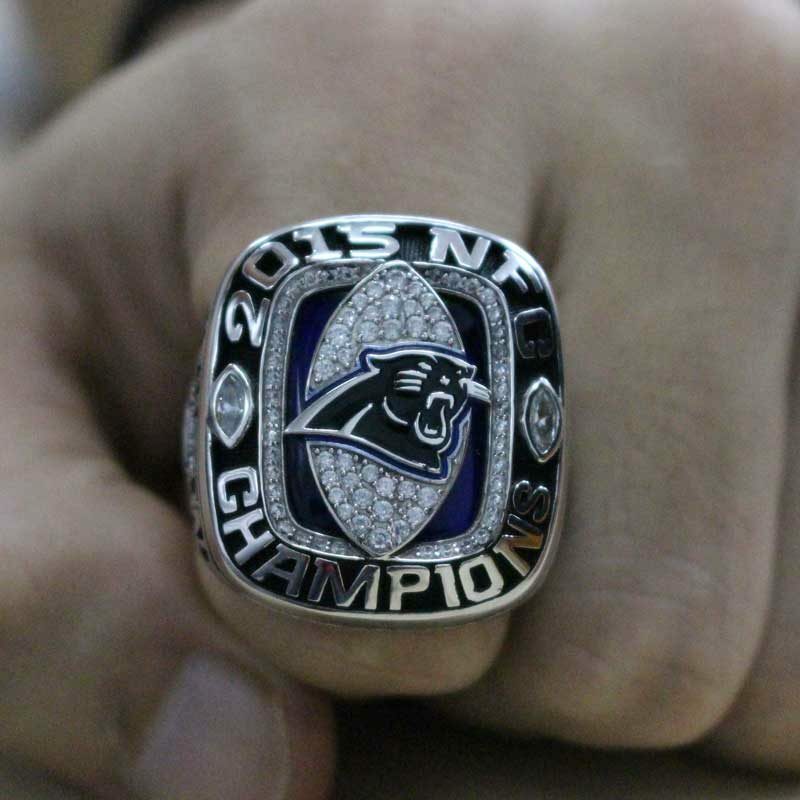 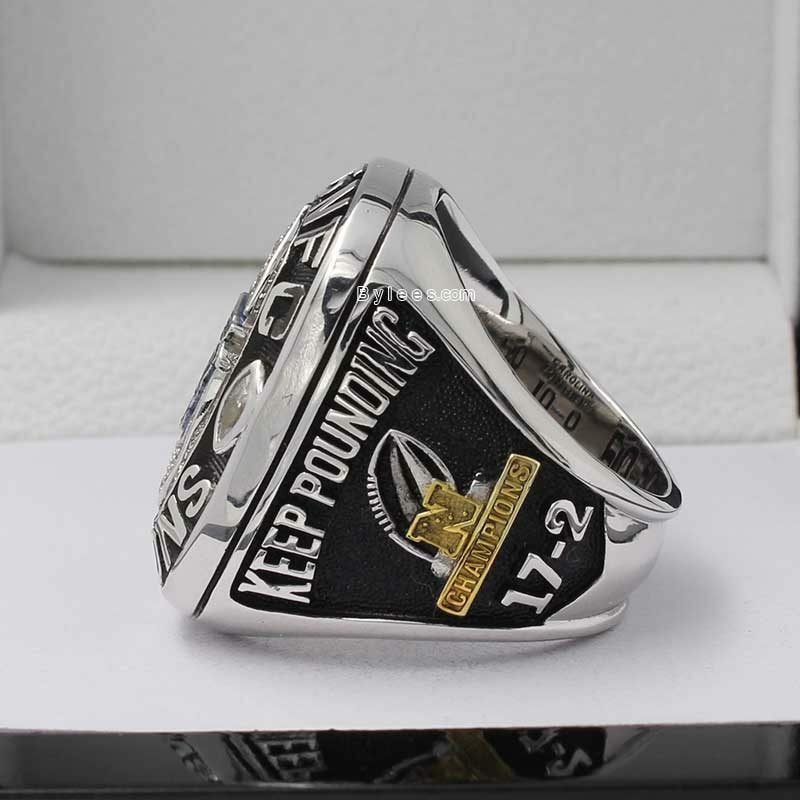 The Panthers 2015 championship ring commemorated the accomplishments of their 2015 season, This team won 17 games, 14 consecutive, went undefeated at home, took home the 2015 NFC Championship ring and got a great experience in the super bowl 50. 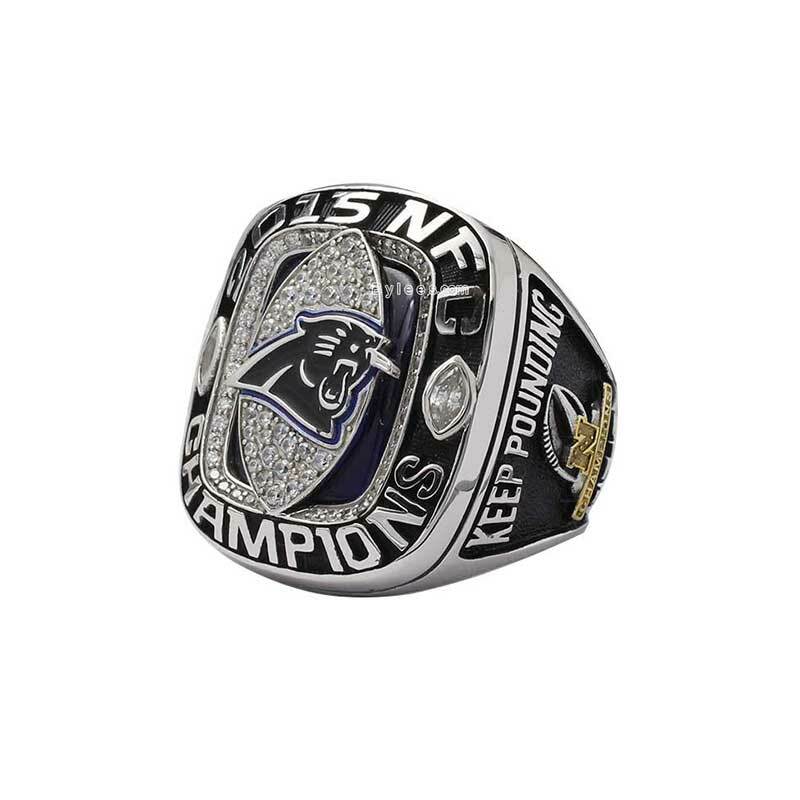 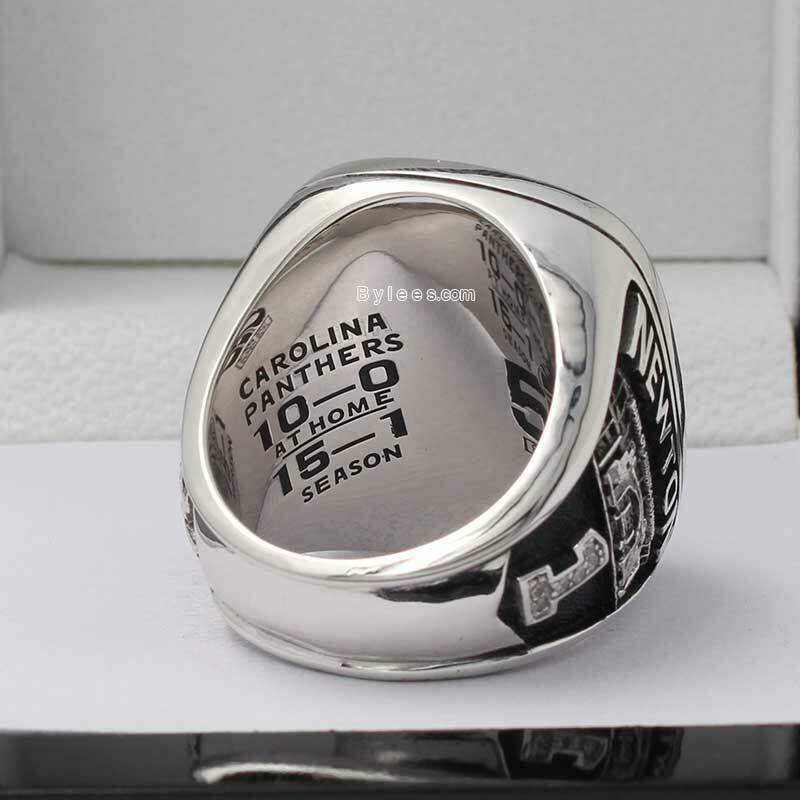 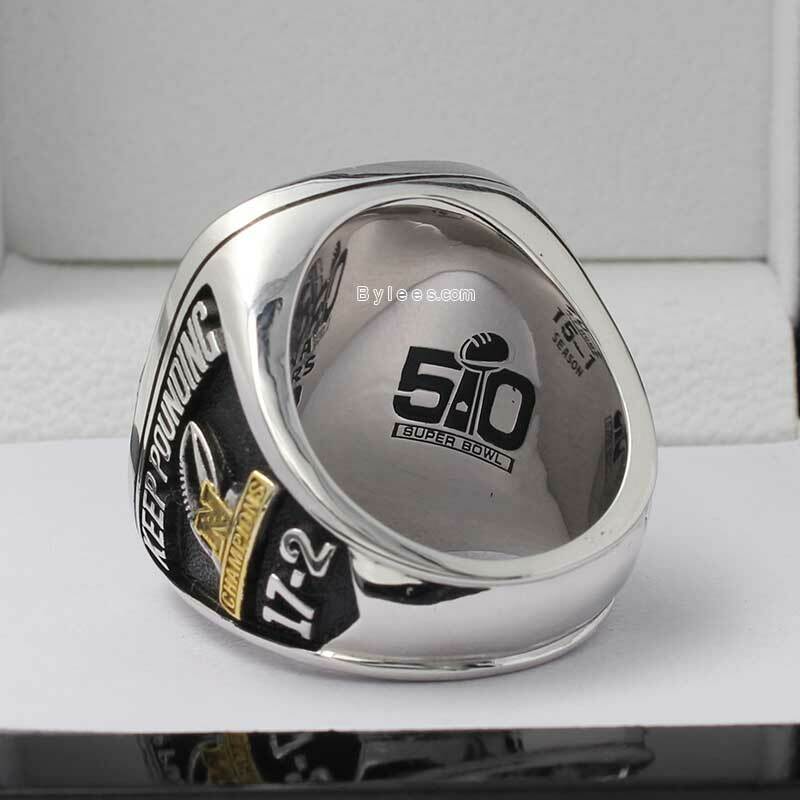 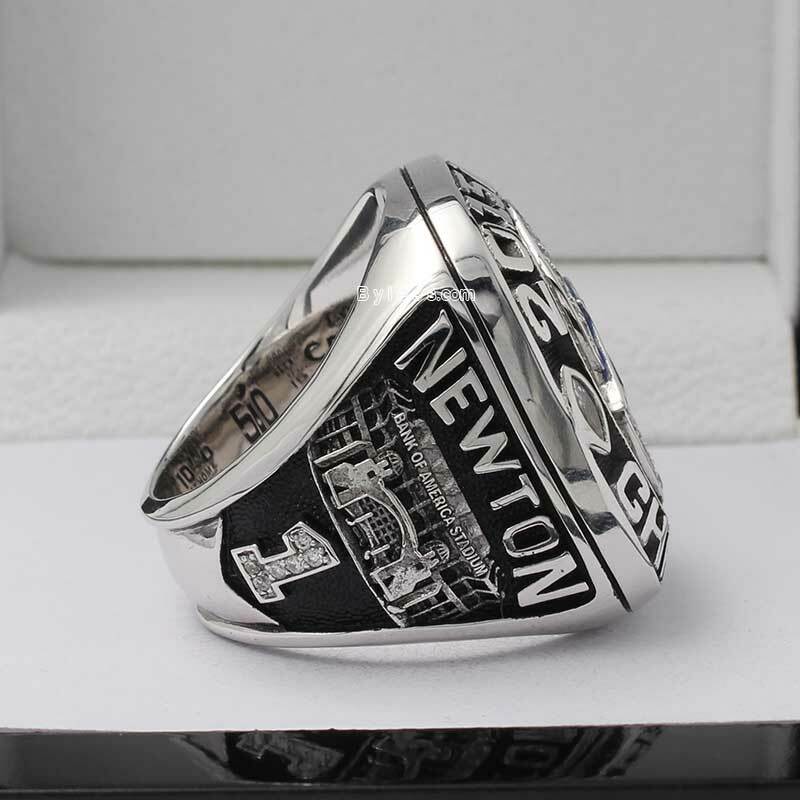 The authentic panthers 2015 NFC ring is made by white 10k solid gold, yet here you can choose to make your replica as solid gold also, the verion here is player Cam Newton’s championship ring.